Osun State College of Technology, Esa-Oke, OSCOTECH post UTME application form for the 2017/2018 academic session is out. This is to inform the general public especially candidates that chose Osun State College of Technology (OSCOTECH), Esaoke as their choice of institution and scored 100 and above in the last UTME that a Computer Based Test (CBT) screening exercise will be conducted from Tuesday, September 19, 2017 at the College ICT centre. How to Apply for OSCOTECH POst UTME Screening. 1. OSCOTECH Microfinance Bank, Main campus, Esaoke. 2. OSCOTECH Microfinance Bank, Orinkinran street, Near MTN office, Osogbo road, Ilesa. 3. Olubasiri Microfinance Bank, Osogbo. 4. First Bank Nig. Plc. 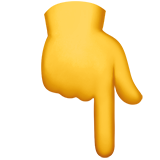 U. I. Branch, Ibadan, Oyo State. Please note that candidates UTME registration number and Full names (as they are on JAMB slip) be correctly Provided at the point of registration. Visit http://eportal.oscotechesaoke.edu.ng/2017_utme_screening/ Click on CONTINUE, Fresh Admission Student after the instruction page to open Login page after you have been through with instructions. Enter PIN Number and SERIAL Number of any kind of Admission Card you holds i.e POST UTME etc (eg PIN = 00011223344, SERIAL No: PUT1500000). For exisiting student, Click on CONTINUE, Exisiting Admission Student to procced to the Admission Portal page.